Nanluoguxiang (South Gong and Drum Lane) – one of Beijing's oldest hutongs, and has been one of Beijing's 25 cultural and historical protection areas since 1990. 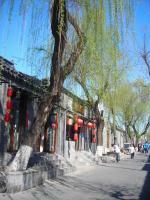 It is located in Dongcheng District of Beijing, extending north from Gulou Dongdajie and south to Di'anmen Dongdajie. Nowadays, this approximately 800 meters long alleyway is filled with distinctive bars, cafes, restaurants, artsy little shops, souvenir shops and cute boutiques. Nanluoguxiang is the only traditional checkerboard style residential area in China that has preserved the texture of Yuan Dynasty Hutong-Courtyard. It is like an old man who witnesses the rise and fall of dynasties, and tells the whole world an ancient legend about his past. 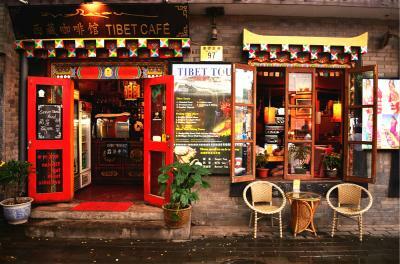 And now, Nanluoguxiang is a wonderful place where mixed with vintage and fashion style. Especially in recent years, it has become a darling of many fashion magazines, TV shows and internet celebrities, a perfect location shooting. 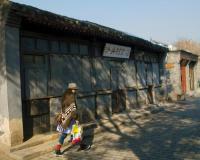 Here, you can experience the real classic old hutong culture of Beijing, and some petty bourgeois sentiment. Although the Nanluoguxiang is so close to the Forbidden City, the architectures here are totally not splendid and magnificent style, but have grey walls and roofs which reflect the folk culture. However, because of its proximity to the imperial city, there once lived many royal relatives and officials at Nanluoguxiang. Up to this day, their former residence has been preserved, such as Senggelinqin (a great general of late Qing Dynasty) Palace in Chaodou Hutong, Qi Baishi (a great artist, who is famous for his traditional Chinese painting) Former Residence in Yu’er Hutong, Mao Dun (a famous Chinese writer and social activist) Former Residence in Houyuanensi Hutong，Generalissimo Chiang Kai-shek (a well-known Chinese political and military leader) Former Residence in Houyuanensi Hutong and Houdi in Maoer Hutong. And several classic Chinese garden style courtyards like Keyuan in Maoer Hutong, Qiyuan in Qinlao Hutong and the distinctive Juer Hutong. As the 3rd most popular bar street in Beijing (just behind Sanlitun and Houhai), there are several shops will catch your attention. 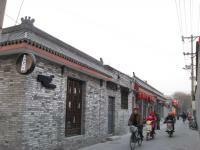 One of the most impressive parts in Nanluoguxiang is various distinctive shops. 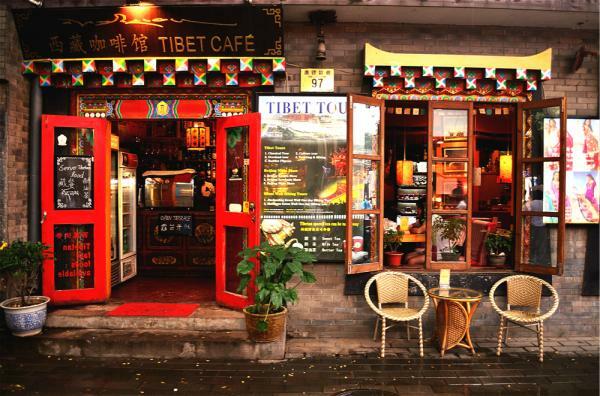 The famous Pass by Bar at Nanluoguxiang is one of Beijing’s longest-running bars. It combines a bar and a cafe with a small shop carrying souvenirs.Their postcards are made out of recycled paper and printed with artistic designs which are hard to find anywhere else. 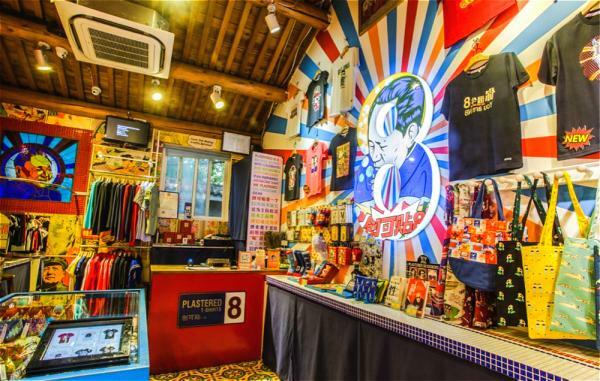 Another popular shop - Plastered 8 T-Shirt was founded by a traveling backpacker Englishman. 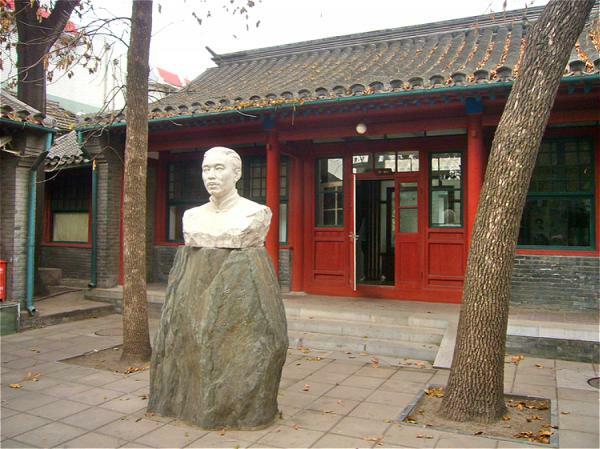 He visited Nanluoguxiang in 1993 and impressed by the culture atmosphere here, and then opened this shop here. The T-Shirt of this shop is featured with the "Original Beijing Style" which boasts comfy cotton casual wear. It is a pottery store where many people attracted by its creative and artistic environment. The workshop exhibits some resident artists' works, so you can admire the fine potteries while enjoying a cup of coffee. And some artists offer teaching classes, which means if you are interested in learning ceramics, you can have a try and make your own piece of pottery. Hundreds of various souvenirs boutique shops here are waiting you to explore. If you love fancy new gadgets like enamel cups, potteries, plates and coasters featuring artistic designs, a selection of ornaments displaying Chairman Mao’s image and some other unique Chinese-inspired gifts, Nanluoguxiang will not let you down. 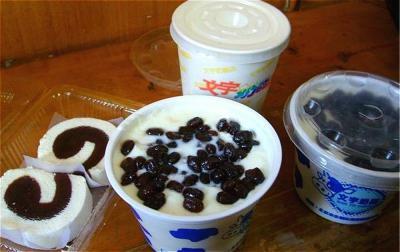 Wenyu Cheese Shop – offering the tastiest and purest cheese and plum juice. Fish Nation – it is well-known for its British-style fish & chips, as well as pizza, pasta and very good beer. Guo Ke Dining Hall at No.108 – serving tasty pizza and Nepal-style drinks. And there are many more various restaurants providing Russian, Italian and Indian style delicacies. Strolling in the lane, experiencing the cultural atmosphere of a combination of Chinese and Western elements, you will enjoy a big feast for your eyes, stomach and mind in the meantime. 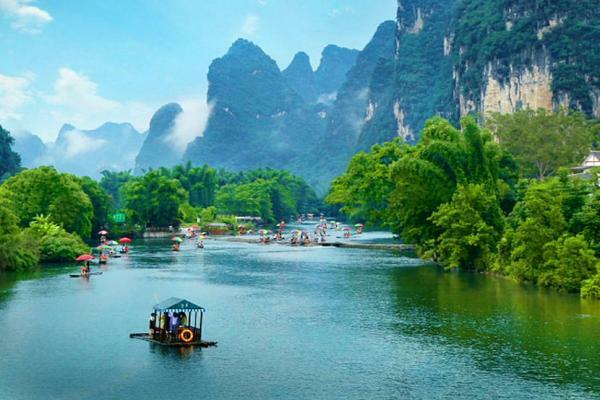 Nanluoguxiang is favorable for visiting all the year round. 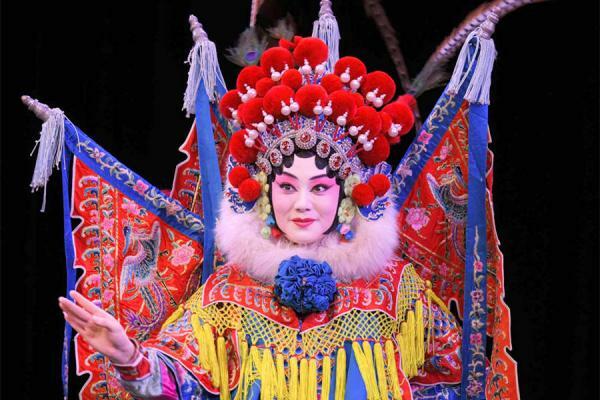 Location: Dongcheng District, Beijing, just near Shichahai, Beihai Park and the Forbidden City. Take Subway Line 6 / 8 directly to Nanluoguxiang. Take Bus 3, 13, 60,118 or 612 and get off at Nanluoguxiang Station. 1.You’d better wear comfortable shoes, because a lot of walking. 2.There’ s no parking in Nanluoguxiang, so the best way to visit here is on foot, hire a rickshaw, or you can rent a bicycle and enjoy a biking tour in this classic Chinese-style alley. 3.Many special snacks can be found here, such as plum juice, crab dumplings in soup, rose pie, double-skin milk, sugar-coated haws on a stick, etc. 4.Nanluoguxiang is very close to Shichahai, the Forbidden City, Tiananmen Square and Jingshan Park, therefore I would like to suggest that you can visit the Forbidden City in the daytime, and have some special snacks in Nanluoguxiang at night; or if you only like shopping, you can arrange a shopping tour of Nanluoguxiang & Shichahai.